Looking for some true blue Aussie lollies? Here at Funworks, although we stock treats and snack foods from all across the globe, we have a special place in our hearts for Australian Lollies, chocolate, treats and snacks. If you would like bulk lollies for a buffet, or just want to order your favourite lollies online, simply select the products you would like and click Buy. We stock all the greatest Aussie lollies. We have popular modern lollies, but also stock traditional, iconic lollies that you might not have seen for decades in your local supermarkets. 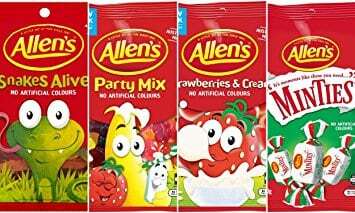 We stock all the Allens lollies you can think of, snakes, red frogs, jelly bbean, chicos, pineapples, red skins, strawberry & cream etc. 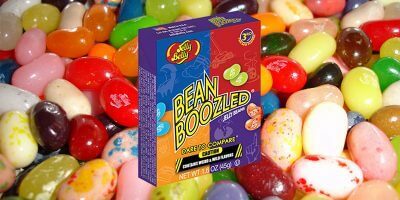 and also stock other great classics like choo choo bars, sherbies, sherbert boms, musk sticks and more! If you are looking for bulk lollies to fill a buffet, Funworks has a great selection. Our Aussie range is epic and consists of many of your favourites. We’ve got licorice bullets, big boss dynamitye sticks, choc rocks, black cats, assorted rock candy and heaps more! Fill your buffet with sweet sweet Aussie goodness. And throw in some international treats too whilst you are at it! What’s more Australian than a lolly called a red back spider? IT’s just one of the many lollies that we stock here at Funworks that comes from the wonderful world of Oz. Get your Aussie favourites right here online. Where can I buy Australian Lollies Online? You can order Austsie Lollies right here at Funworks. We sell all across Australia including all capital cities.